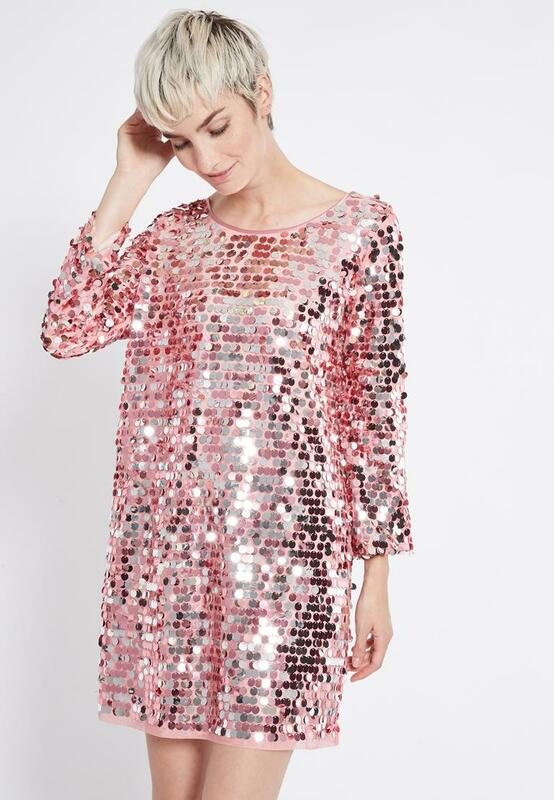 Our style team says: a highlight for the next club night - the mini dress pulls out almost all the stops to be at the centre of the action. 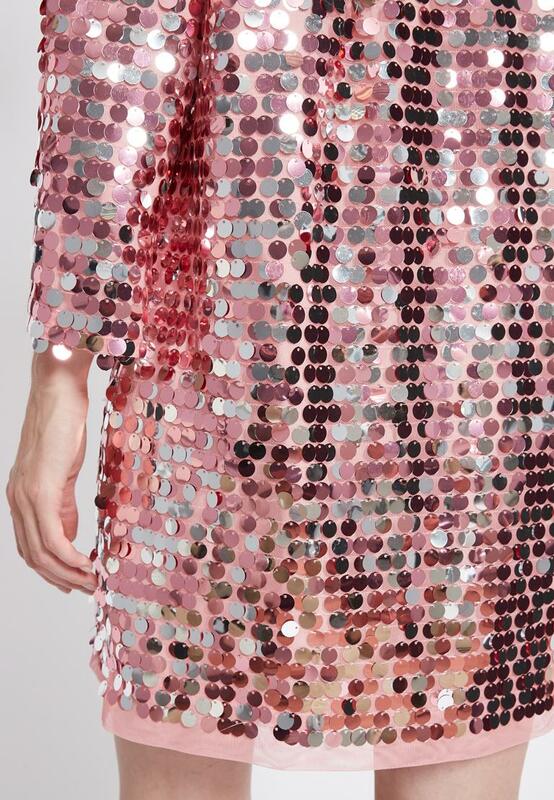 This is primarily made possible by the shimmering all-over XXL sequins. The dynamic cut creates the ideal stage for playing with reflection. Positive feedback guaranteed. Tip: take the look to the top with glitter pumps. 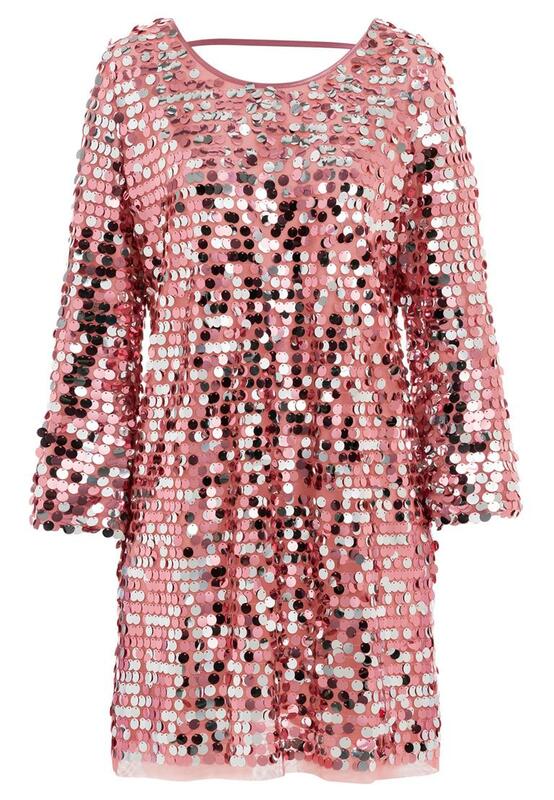 This sparkling party-piece looks good even when dressed down: create a cool contrast with an over-sized jacket and ankle boots.